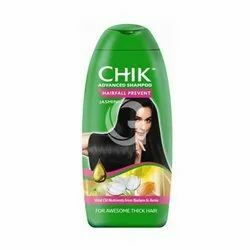 we are offering wide range of Chik Hair Shampoo. - looking hair. Get mesmerizing healthy hair with regular use of CHIK Long & Healthy Jasmine shampoo. *Strengthens by reducing hairbreakage. - based on consumer research study done in 2016. Over the years, the consumers of Chik Shampoo have evolved, to step out of their traditional roles as homemakers and take on the working world, confident that they are in charge of shaping their destiny.Now, their brand too has evolved, to partner their entry into the world of work with a new confidence in their beauty. Over the years, the consumers of Chik Shampoo have evolved, to step out of their traditional roles as homemakers and take on the working world, confident that they are in charge of shaping their destiny. Now, their brand too has evolved, to partner their entry into the world of work with a new confidence in their beauty.